The D110 combines dependability, durability and power in every aspect of its construction, including a fully welded steel frame and a cast-iron front axle. Easy to own. Easy to operate. Easy to maintain. 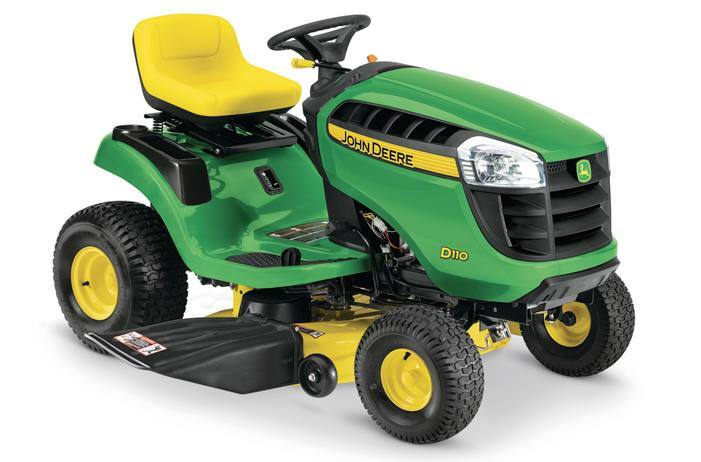 The D110 Lawn Tractor.